Schizophrenia is a crippling condition characterised by psychotic experiences such as delusions and hallucinations. It can be hugely debilitating for the patient and their family and it can also be an enormous challenge for psychiatrists and other health and social care professionals who are responsible for providing care and support to the service user. Currently, there are very few alternatives to drug treatment for effectively managing schizophrenia. 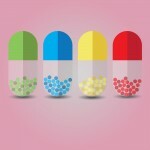 However, even experienced clinicians often struggle to select the most appropriate medication for their patients. Therefore, four recent Cochrane reviews assessing the efficacy of four common antipsychotic drugs (Chlorpromazine, Quetiapine, Trifluoperazine and Pimozide) in randomised controlled trials (RCTs) may be of help to clinicians. All of these reviews were carried out by the Cochrane Schizophrenia Group, so similar methods were used across the four reviews. All review teams searched the Cochrane Schizophrenia Group Trials Register, inspected reference lists and also contacted relevant drug companies, drug approval agencies and authors of trials for additional information. One of the reviews (the Trifluoperazine review by Koch et al, 2014) also undertook a search for economic studies using the Cochrane Schizophrenia Group’s Health Economic Database. Chlorpromazine’s global position as a ‘benchmark’ treatment for psychoses is not threatened by the findings of this review. Chlorpromazine, in common use for half a century, is a well-established but imperfect treatment. Trifluoperazine is an effective antipsychotic for people with schizophrenia. Furthermore, our review provides supportive evidence that trifluoperazine increases the risk of extrapyramidal adverse effects. That have been reported within existing comparisons are of very limited value because of assumptions and biases within them. (…) enough overall consistency over different outcomes and timescales is present to confirm that pimozide is a drug with efficacy similar to that of other, more commonly used antipsychotic drugs such as chlorpromazine for people with schizophrenia. While highly informative regarding specific side effect domains (e.g. motor symptoms or metabolic effects), the reviews discussed here add to an already complicated and multifaceted picture of antipsychotics. In addition, most studies suffer from poor methodological quality and their conclusions are of unclear clinical significance. Having said that, knowledge of specific side effects (e.g. worse metabolic measures with Olanzapine) may aid clinicians in optimising their drug choice to provide a more tailored approach to individual patient profiles. As is often the case with Cochrane reviews, these new studies highlight the need for more rigorous future clinical research and optimised protocols. 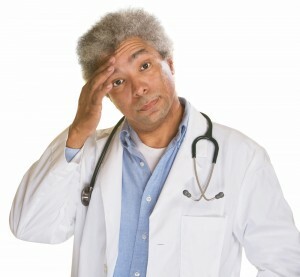 @Mental_Elf It’s a lovely pic of a puzzled doctor! But not a #headclutcher: they’re about clichéd representations of #mentalhealth problems. @Sectioned_ @Mental_Elf He’s a TempleRubber – the clinician for whom it’s all a bit to complicated. Bless. @Mental_Elf It should be – ever taken it? @Mental_Elf I was prescribed this for depression once…. @Mental_Elf Wondering why my GP px Trifluoperazine when I am not psychotic lack of knowledge me thinks!! @Mental_Elf in the spirit of research I once took a 25mg tablet: no memory of falling asleep, unable to stay awake for 24hrs. Horrid! @maisiemay1977 @Mental_Elf isn’t it! I’ve tried to try everything once (within reason, if safe) that I expect patients to take. @Novembervivi @Mental_Elf Reallu? What’s your favourite? @maisiemay1977 @Mental_Elf they’re all pretty grim. Personally I don’t even like benzos, I just fall asleep! @maisiemay1977 @Mental_Elf lamotragine is fairly foul too. And rispiradone: euch! I think it is a useful thing to do, but depressing! 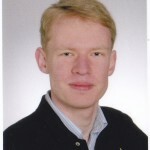 This blog written by Helge Hasselmann does not fulfil the overall high standards of the mental elf blog. Here we can see what happens when psychologists start blogging about mental health issues. 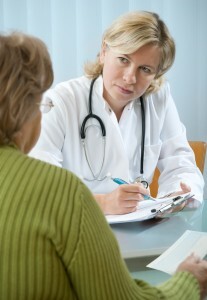 Information made available to patients should be carefully selected by medically qualified authors. Such misinformation of patients ruins the overall good reputation of the mental health blog. The author of this nonsense should be dismissed from the author lists of the mental elf blog.